BIC Pharmaceutical Business Consulting offers one-stop comprehensive consulting services from drug development through commercialization in Japan and the ASIA Pacific Region. Our services are customized to meet the unique needs of each client. Please feel free to contact us to speak to one of our expert consultants. BIC offers expert strategic alliance and collaboration consulting support to pharmaceutical /Biotechnology companies. Many of our consultants are PhD, MDs who have previously held senior executive positions in global pharmaceutical companies. Mission: To minimize the healthcare burden (From Seeds to Registration) by creating innovative measures. Strategy: To transform the scientific or technical seeds into healthcare solution through open innovation and translational medicine. Identify innovative idea and/or seeds and their combination from medical viewpoint. Create & adjust medical values from the innovative idea or seeds. Design POC study and clinical studies to submit to health authorities for possible registration. Connect at the global level for Matching, Strategic Alliance, Collaboration and Partnering. Practice based on the Regulatory Science (regulatory strategy and risk-benefit maximization particularly from medical viewpoint). Develop Project managers to best manage quality and resource. Develop changed mindset and skills for younger generation through connecting people, co-evolution, and mentoring. 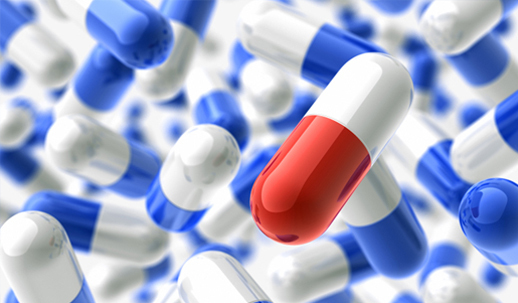 BIC has a strong focus on pharmaceutical business development. Our consultants all have decades of experience, and proven track record in in-and out-licensing in the areas of pharmaceutical, biotechnology, consumer healthcare and related industries. We can therefore provide you with a comprehensive insight into your needs. Drug discovery technologies play a vital role in the growth of the entire pharmaceutical industry as they are the key contributors in the swift introduction of blockbusters and innovative drugs, which is the most important aspect for the pharmaceutical companies. Read more.. The applications of excellent technologies in the introduction of drugs for diverse diseases such as cancer, CVD, CNS disorders such as Parkinson’s and Alzheimer’s and other serious chronic diseases have created significant opportunities for the market growth in the future. The slow growth of the introduction of new blockbuster drugs is a major concern which the drug development companies are catering to by using top technologies. The competitive benefits of identifying and addressing new therapeutic targets continue to provide incentives for new target selection and monoclonal antibody identificationprograms.Read more.. Genetic engineering methods and novel ‘host cell’ production systems are being used to optimize and modify functions of monoclonal antibodies. Proprietary platforms using novel methods have been widely licensed to many of the major players in the biopharmaceutical industry. The newest technologies for modifying antibodies involve redesigning the entire shape of the antibody molecules. Alternative antibody formats produced naturally by species such as sharks and camels have provided inspiration for a wide variety of new target-binding molecules, with new abilities and properties not found in human antibodies. We analyze the strengths and limitations of the biopharma marketplace, important research avenues being pursued, and an overview of recent R&D developments. We also provides assessment of the contribution of biopharma to the management of major diseases, identifies possible avenues for new product development, and examines national and regional markets in terms of comparative importance and developing opportunities. BIC offers a holistic approach to biotech and pharmaceutical clients seriously considering either Japan entry or business expansion into Asian markets. Our strengths are in-depth knowledge to deal with complex business reality and customized hands-on support. Our team’s solid background as pharma executives make a difference from a kind of framework application consulting. Our one-stop consulting covers strategic congruence from product potential analysis, fast market access, market strategy through sophisticated channel management. We also have a cross-functional network for medical, regulatory & quality, Human Resources, finance and executive search. BIC provides regulatory affairs (RA) & Quality management (QA, QC) consulting services to the pharmaceutical, medical device and IVD companies in Japan. 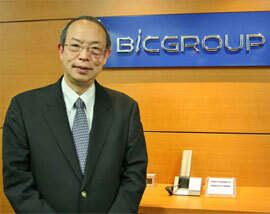 BIC offers a wide range of quality assurance services to meet Japan and international requirements. Each project is customized to meet the unique needs of each client. So please contact us for a confidential no obligation free consultation. Dr. Tawara is Senior Advisor Pharmaceutical Strategic Alliance & Collaboration practice. 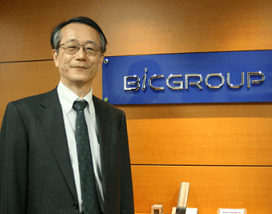 Before joining BIC GROUP, Dr. Tawara was the Head of R&D Japan and concurrent Head of Regional Growth/Asia-Pacific R&D in Sanofi. Prior to Sanofi, he was the VP global development Japan at Pharmacia, Senior Director R&D Strategic Division at Tanabe Pharmaceutical, Head, Clinical Development & Regulatory Affairs at Novartis Pharma Japan and Manager of National Project Coordination at Bayer Yakuhin. He holds an M.D. degree from Fukushima Medical University and PhD in Medical Science from Hokkaido University. Sanofi-AventisHead/ Research and Development Japan. 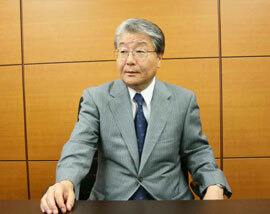 PharmaciaHead, Vice President, Global Development Japan, Board of Directors. Tatsuo is responsible for delivering scientific solutions to our pharmaceutical clients. Tatsuo has a deep knowledge and experiences in the drug research & development and an extensive network of contacts within the industry executives. Prior to joining BIC, he spent over 25 years at Chugai Pharmaceutical Co., Ltd (Roche Group) and held positions of Vice President Intellectual Properties, Vice President General Manager of Research Division, Head of Research Planning and Coordination dept and Head of Pharmaceutical Res. Labs. Before joining Roche, he was an Assistant Professor, Dept. of Pharmacology at Tohoku University. He received his PhD in Pharmacology from Tohoku University and he is a registered Pharmacist in Japan. 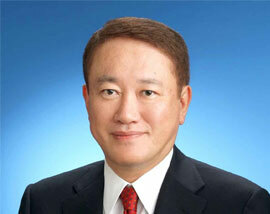 Takashi Kanda is a over 30-years veteran working for Takeda Pharmaceuticals, Boehringer Ingelheim and GlaxoSmithKline. He held managerial & executive positions at Pharmaceutical Sales & Marketing , International Pharmaceutical Business, Corporate Strategy, and Consumer Healthcare Business. Takashi comprehends in-depth pharmaceutical business both in Japan and US. During his tenure at Takeda, he engaged in detailing activities, trade relations, and divisional & corporate planning in Japan. He played an instrumental role in setting up Takeda’s new US operations, and growing Takeda-Abbott joint venture, TAP Pharmaceutical Products as EVP. Then, he was in charge of consumer healthcare business, and gained new insight and business mind of non-prescription drug. For Boehringer Ingelheim and GlaxoSmithKline , he supervised business of prescription medicines or vaccines as a representative director or as a senior managing director, respectively. Takashi graduated with a degree in a political science from Waseda University, and holds a M.B.A. from Northwestern University. Yukio is a seasoned Pharmaceutical business development executive. He is responsible for delivering licensing and alliance management consulting services to BIC clients. He has a proven track record of executing number of domestic and overseas major deals. He successively held posts of a head of S&E at Novartis Pharma K. K., Director of Licensing & Development of Pfizer Inc. (NY, USA) and Pfizer Japan, as well as Senior Research Fellow of Bristol-Myers Research Institute Ltd. Before joining to pharmaceutical industry, he was an Assistant Professor at Biotechnology Lab of Yokohama City University, and a Research Fellow of Washington University, School of Medicine (MO, USA). He holds a PhD in Developmental Biology from Tohoku University. Let us represent your business in Japan and the Asia Pacific region. Interim management is a temporary job done by highly experienced, hands-on executives, who have a proven track record. Our Best In Class team has a proven track record in the industry filling numerous hard-to-fill positions from the startups to major international companies. We provide high quality, cost effective human resources management solutions to the pharmaceutical, medical device and life science companies in Japan. We offer a wide range of services in Accounting, Taxation and business Advisory consulting services to healthcare clients. BIC provides training partnerships for pharmaceutical, medical device and Life science clients.